In their fourth animated feature, LAIKA studios (who also created Coraline, ParaNorman and The Boxtrolls) have really pushed the boundaries of what's possible with stop-motion animation. 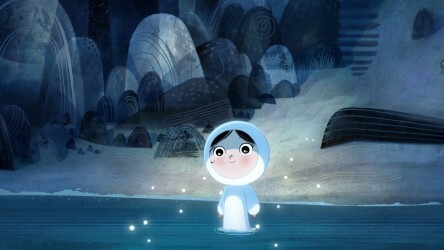 From the outset, LAIKA's work has combined technological advancements with this classic animation technique - a technique has its roots in the very earliest days of cinema. 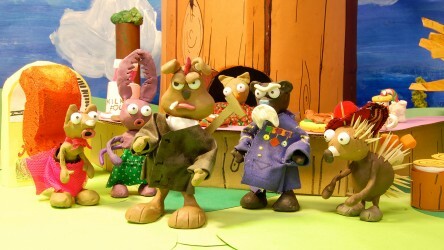 Stop-motion animation has been utilised as far back as the turn of the twentieth century, by pioneering early filmmakers such as Georges Méliès, who made the visionary 1929 film Le Voyage Dans la Lune (A Trip to the Moon), which used stop-motion animation to create the special effects and bring the journey to outer space to life. 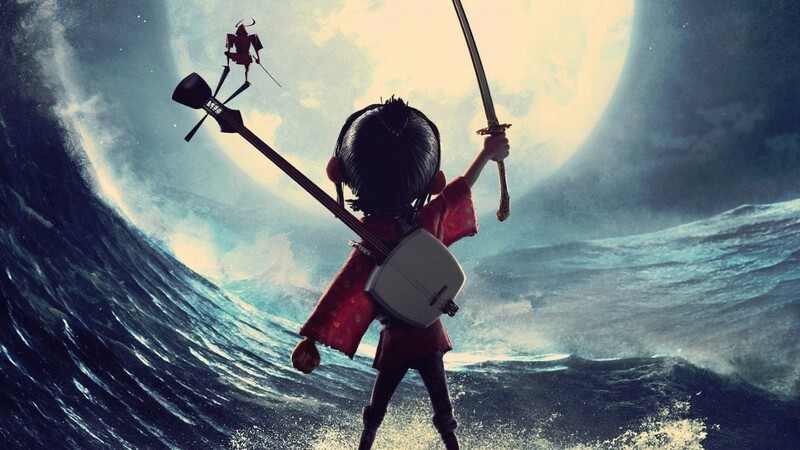 Kubo and the Two Strings is a Japan-set adventure which revels in the power of storytelling itself, and incorporates many visual references to classic stories of great bravery and heroism from throughout cinema history, from Jason and the Argonauts through to Lawrence of Arabia. Kubo is a young boy who lives in an isolated cave near a rural village with his mother. Every day he earns a few coins by telling tales of his father, a legendary Samurai warrior; stories that Kubo brings to life with dancing origami figures that are compelled to move by the words of his tale. Kubo enthrals his neighbours in the same way that Kirikou in the Michel Ocelot-directed films Kirikou and the Sorceress and Kirikou et les Hommes et les Femmes captures the attention of the villagers with his repeated chants and the promise of his own extraordinary power. As a young hero, Kubo's adventure revolves around the bonds of family and discovering where his own unique path will lead. For Kubo, the only family he has ever truly known is his mother, who is reliant on him to take care of her. He lives in fear of his grandfather and aunts - spirits of the night sky - whom his mother fears will claim him for their own dark world by taking his one remaining eye, the first having been stolen when he was a baby. This idea of children with mysterious and magical origins is similar (although more sinister) to Studio Ghibli's The Tale of the Princess Kaguya and even one Harry Potter. Major themes of the film are coping with loss and the importance of memory, and a central scene revolves around the Obon festival - a Japanese celebration of ancestors, where families go together to visit their shrines, lighting symbolic lanterns and taking part in special dances. 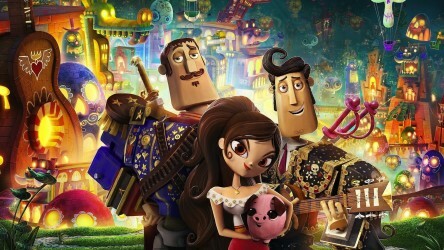 The Obon Festival is similar to the Dia de los Muertos, as depicted in The Book of Life, another film that introduces the idea of loss and respect for family tradition and heritage in a way that children can grasp. LAIKA studios doesn't shy away from creating films for children that tackle difficult subject matter or feature scarier elements - something they've demonstrated from their early days. From Coraline and its sinister alternate family, to ghostly ParaNorman with its story rooted in the cruel history of the witch trials, and more recently with The Boxtrolls, where the the creepy-cute underground monsters of the title find themselves under threat from a much nastier menace. Kubo and the Two Strings follows in this vein but in a story with a much more epic sweep. Costume plays a big part in the film - Kubo's own kimono is of huge symbolic importance to him and his unique family heritage. However, to truly recreate the flowing and yet carefully folded kimonos of the period required additional animation, effectively giving the costumes a life of their own as they follow their character's movements, a beat behind for realism. To give the kimonos the required stiffness, the costumes are created from fine silk, but are but lined with Tyvek to ensure they look beautiful in close-ups, but still have the flexibility to move freely. Tyvek is a material more often used in construction, and Into Film regulars may notice that the DVDs you receive in your clubs are protected with the very same material! What is most enchanting about the film, however, is its creation of the monsters that Kubo must battle on his quest, many of which pay homage to master animators such as Ray Harryhausen, and to classic movie monsters from films such as Godzilla and King Kong. The most impressive of these (and reminiscent of Harryhausen's spine-chilling skeletons in Jason and The Argonauts) is a 16-foot-tall skeleton monster that comes to terrifying life, threatening the success of Kubo's first challenge. We definitely recommend viewers stick around to watch the end credits, as you'll be rewarded with behind-the-scenes footage of this incredible puppet - the largest ever created for the screen - being wrangled and operated by the animators on its own purpose-built crane. This spin on a traditional adventure tale incorporates a witty script (especially in the exchanges between Kubo's unusual guides, Monkey and Beetle) and is packed full of thrilling and frightening moments that challenge our young hero. 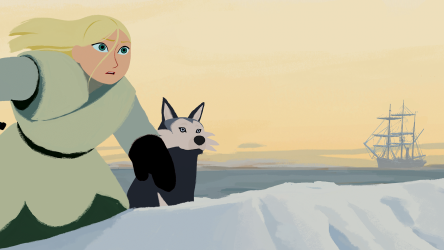 As with all of LAIKA's films to date, the intensive creation of a fantastical world is really there to support an exciting story - and Kubo is sure to have you on the edge of your seat! Watch our interview with the film's director Travis Knight below. 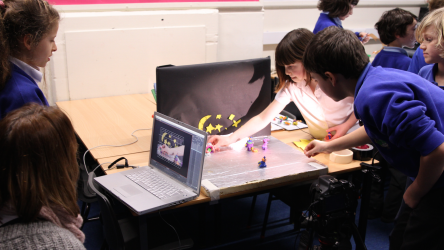 Stephanie from production company Signal Film and Media in Cumbria talks to us about hosting animation workshops for young people. 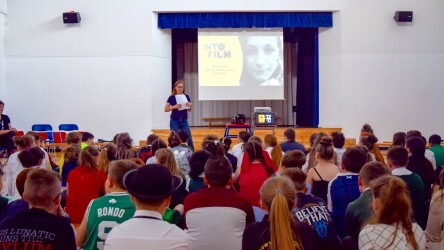 BAFTA award-winning animator Kate Charter gives her best advice and tips on creating your own animation. A film guide that looks at The Book of Life (2014), exploring its key topics and themes through informal discussion. 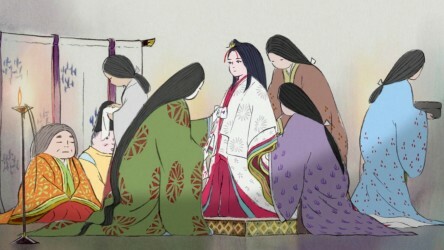 A film guide that looks at The Tale of the Princess Kaguya (2013), exploring its key topics and themes through informal discussion. Viewing 4 of 7 related items.